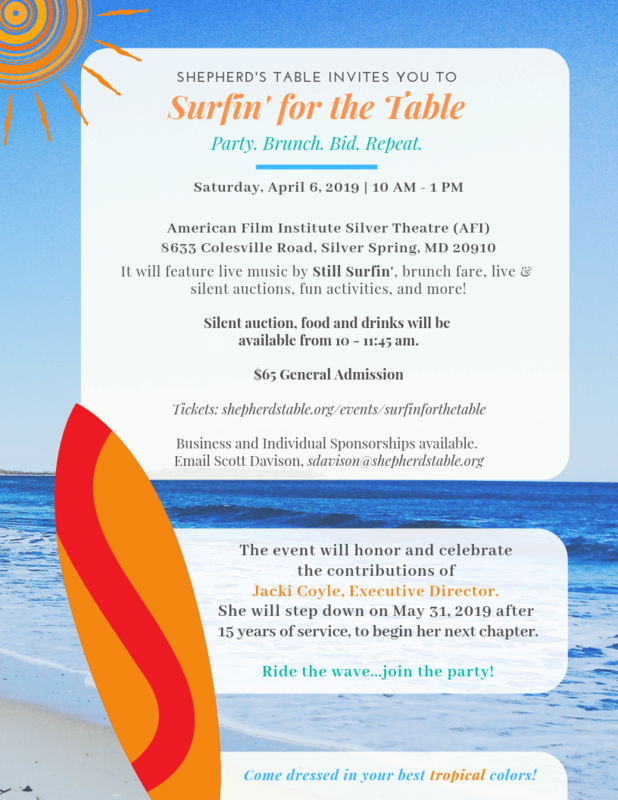 Shepherd’s Table and GEICO present Surfin’ for the Table, which will take place on April 6, 2019, from 10:00am-1:00pm at AFI Silver Theatre, 8633 Colesville Rd, Silver Spring, MD 20910. The event will honor and celebrate the contributions of Jacki Coyle, Executive Director. She will step down on May 31, 2019 after 15 years of service, to begin her next chapter. 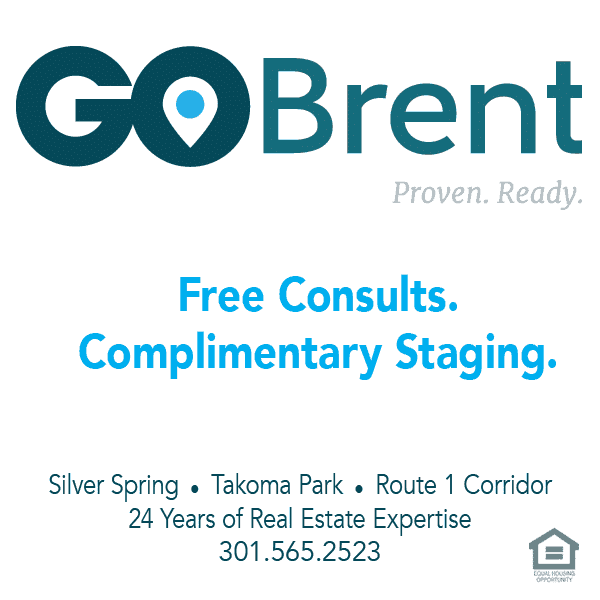 The event will feature live music by Still Surfin’, great brunch fare from the area’s best restaurants, live & silent auctions, activities, and more! 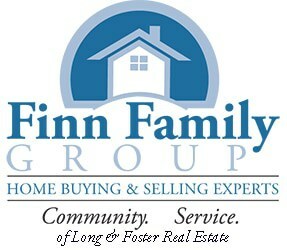 The silent auction will be open from 10:00-11:45 a.m. Thank you for supporting our mission, and those we serve!